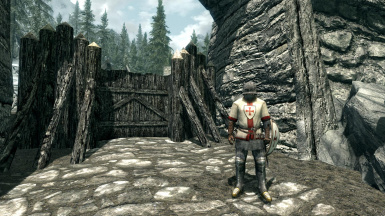 Knights Templar have arrived and settled in Skyrim. New faction, new armor and new companions. The models included in this mod do NOT belong to me, only the re-textures. If you would like to use them, please contact me first. As for models, you should contact original creators. 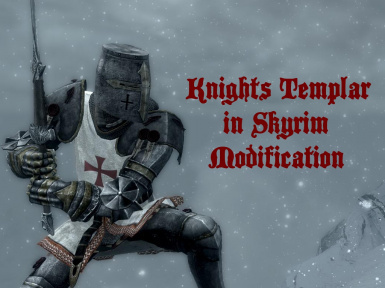 This mod adds Knights Templar faction, armors and companions to Skyrim. 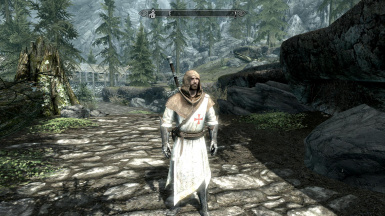 The reason I made this is because I like Knights Templar and I wanted to play as one in Skyrim. 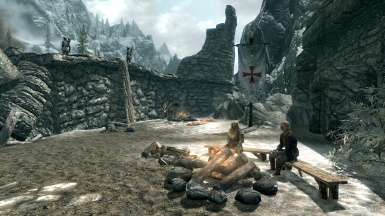 Faction is added in Helgen, and they occupy Helgen Keep for now. 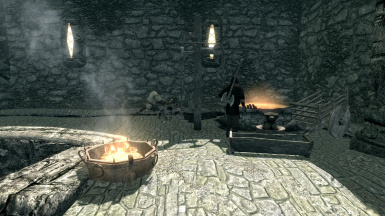 I added most of crafting tables in the keep, including a blacksmith to buy or sell your equipment. As I'm not really experienced in CK, I had to use what I had at hand. There are no quests for now, and maybe I'll add them in future. 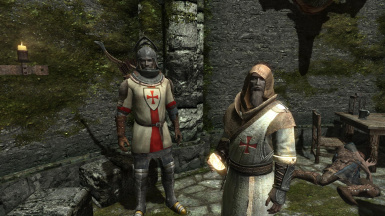 There are 7 new armors and 4 new helmets added to the game, from which 2 are heavy, 2 are light and last 3 are robes which were present in the old version of the mod. Armor stats are quite balanced now compared to the last version. 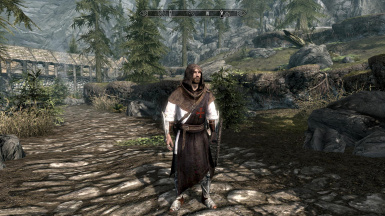 Heavy armor stats equal to Ebony armor stats for example, so they are more suited for later stages of the game. All of the armors are craft-able/upgrade-able/buy-able. 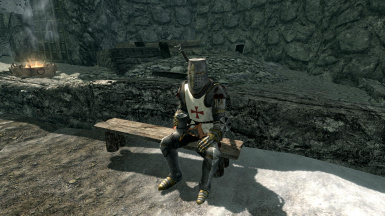 (Aside from Robes which are located in the chest in Barracks) If you think armors aren't balanced or some stats need to be changed, please respond in comments section. 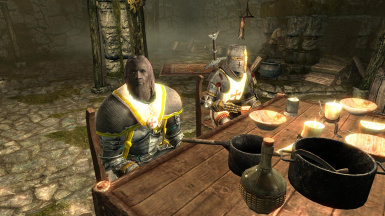 Sir Walter the Honourable - He can be found in "dining room" in Helgen Keep. 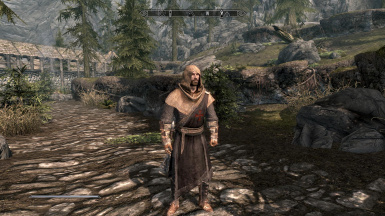 Sir Pascal the Healer- He is in the Barracks, also in Helgen Keep. 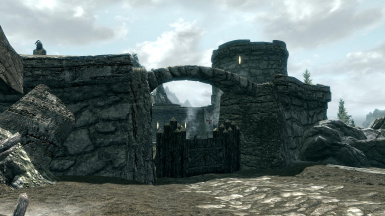 Sir Anthon the Arrow - He is located in Helgen when you enter the "fort". Please comment and give me your ideas on what I can improve, what I can change and most importantly, what I can add in future. Please enjoy and if you like it, please "Endorse" the file. I put a small "Easter-egg" in there, and let's see if anyone finds it. Just copy/paste the "Data" folder located in KTIS folder, to your Skyrim main game directory, or download with NMM. This mod does not replace any original files. Just delete the files you copied. 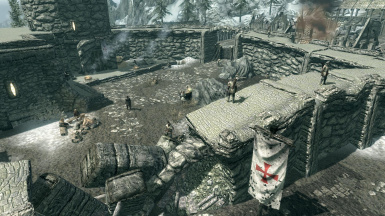 * Templar Flags don't appear in Helgen Keep - I couldn't find a solution to this. * NPC have no Markers assigned to them, and they might sometimes do stupid things as standing around and doing nothing. Thanks to everyone included in this list. I wouldn't be able to make this mod without them.